“Only the guilty are afraid” is a saying that aptly captures what transpired between a police patrol team led by the Area Commander-in-charge of Area D Command, Mushin, ACP Akinbayo Olasoji and a motorist, later identified as Pius Kingsley Ebere, an auto parts dealer based in Ladipo auto spare parts market, Mushin on Friday, October 12. 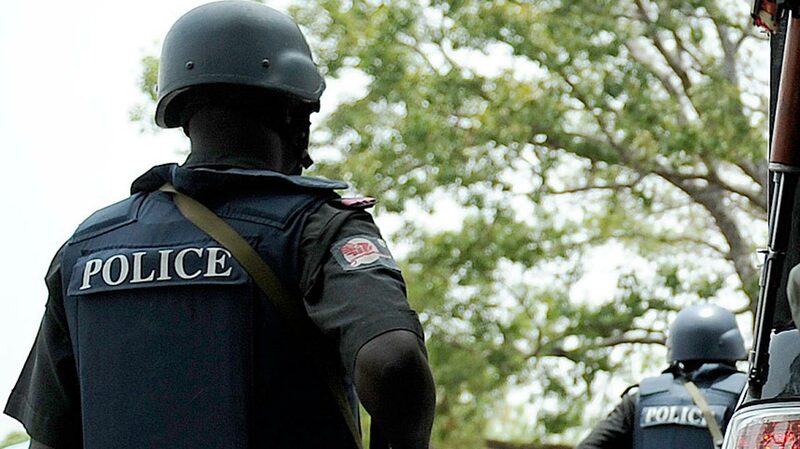 According to Lagos State police spokesman, Chike Oti, a Chief Superintendent of Police (CSP), “on the said date, the police team stopped a Honda Accord saloon car with registration number FST 616 DV, owned and driven by Ebere for a routine check; but instead of allowing the police do their job, the suspect hurried out of his car and escaped into the darkness of the night. “The vehicle was towed to the station and the run away suspect was eventually arrested. When the car was searched, the following items, engraved with registration number AAA 472 CP believed to be that of the vehicle from which it was stolen, were recovered from the suspect: two headlamps, car stereo, four side door automatic control panels, brain box, side mirrors and four rear seats. “Investigation revealed that the items were stolen from a Lexus GX 472 SUV, belonging to one Suleiman Waheed Adebola. He has been contacted and he affirmed that the recovered items were parts of his car vandalised in Ekoro, Abule Egba area of the state. “Other items recovered from the suspect’s car includes: five brain boxes of Toyota and Lexus vehicles, four car stereo sets, a pair of Toyota Corolla 2011 rear lights, a pair of Toyota Corolla 2011 headlamps, three pairs of side mirrors and one front grill cover of Infinity SUV. “All recovered items are engraved with licence registration numbers by their various owners who had been contacted by the police to report with proof of ownership”. Further revelation by the suspect, led to the arrest of his accomplice, one Peter Attah, aka Dangote, also an auto parts dealer at Ladipo market where search warrant was executed and various types suspected stolen car parts were recovered. The Commissioner of Police, CP Imohimi Edgal, advised vehicle owners to engrave their registration numbers on their vehicle parts to discourage vandals.